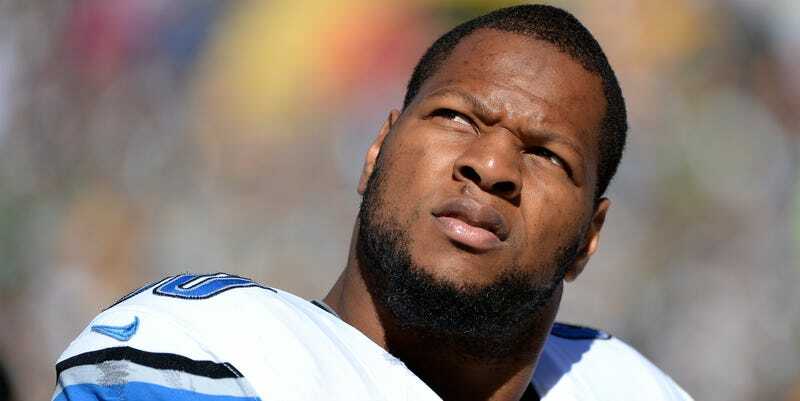 Miami Officially Signs Ndamukong Suh. Will The NFL Fine Them Now? Today what Chris Mortensen first reported three days ago was made official: Ndamukong Suh signed a monster deal to play for the Miami Dolphins. Everybody is reporting that Suh signed for six years and $114 million, with $60 million of that guaranteed ... the exact same numbers Mortensen first had three days ago. You can find a detailed contract breakdown on Spotrac. Assuming Mortensen didn't magically fabricate what turned out to be accurate information, he got contract details from the Dolphins, Suh's agent, or somebody else. No matter his source, it means that the Dolphins made Suh an offer on Sunday, 48 before they were allowed to. From Saturday until 4 p.m. EDT Tuesday was the NFL's free agency negotiating period, where teams and free agents are allowed to negotiate, but no formal offers may be extended and nothing may be agreed upon. On Monday, upset at seeing so much reporting over the weekend that included specific contract details, the NFL sent a letter to all 32 NFL teams reminding them about the moratorium on making offers, and threatening to investigate teams who violated the moratorium, ominously writing "violations will be dealt with accordingly." Since Suh's contract details matching Mort's report all but confirms that the Dolphins violated the negotiation period, are they going to be fined for it? The Dolphins have been in utter lockdown for a week since word leaked they would be chasing Suh. But something changed Sunday and Monday. I'm told employees were told they better have zero contact addressing the possibility of a Suh deal with anyone — much less the media. And that makes sense because the media blew Miami's cover on the Suh deal. Anyway, the Dolphins are said to be "nervous" about this and some other negotiations, one agent dealing with the team told me Monday. Violations may be sanctions with fines on the club or individuals and may also rise to the level of costing a team a draft pick or picks. In the teeming history of dumb NFL investigations, this is one of the dumber ones. Every single team and practically every single free agent violates the rules of the negotiating period: the league seriously expects agents and GMs to talk extensively with each other without either side being able to make an offer? Besides, ignoring the rules and leaking things to the media created three more days when the NFL was the most talked about sports league in America, six months before its regular season starts up. Yeah, the Dolphins almost assuredly made an offer to Suh in violation of the rules, and he accepted it. Who cares?